The church is simply a group of saved sinners, and because of this, we face a variety of issues. How do we deal with them? 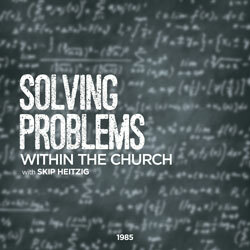 Focusing on the letter of 1 Corinthians, Pastor Skip Heitzig discusses church divisions, sexual impurity, marriage difficulties, personal liberties, and other problems in the body of Christ and looks at what God's Word says about resolving them.